The Organic Transitions Program funds research to help the organic sector. 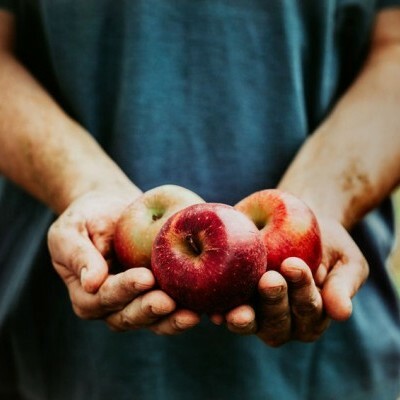 Have you ever wondered if that organic apple is really better for you than the conventional apple sitting on the next shelf? With a retail market of over 43 billion dollars per year, organic products are more than just a trend.1 What are the current consumer beliefs that are driving the growth in the organic market and what does the scientific research support? A study reported by the British Journal of Nutrition has reported that organically grown food contains higher nutrients levels, antioxidant levels, and lower pesticide residue.4 Even with the research pointing to organic produce containing more nutrients, the researchers stated that it is unknown how much of those nutrients are actually absorbed when consumed vs conventional produce.4,5 In addition other studies contradict the research claiming no differences between conventional and organic food. The research is quite confusing when trying to determine if organic apples are healthier for human consumption than conventional. This opens the door for further study just in time for those affiliated with a college research project to apply for the USDAs new grant. The U.S. Dept. of Agriculture’s (USDA) National Institute of Food and Agriculture (NIFA) has announced the availability of up to $3.8 million in funding to support research, education, and extension to support organic farmers and ranchers as well as those adopting organic practices for the first time.1 The grants are funded through the Organic Transitions Program (ORG), administered by NIFA and authorized by the 2014 Farm Bill.1 The deadline to apply is March 9, 2017 and may only be submitted by colleges and universities. For more information visit the USDA funding or to submit an application visit the Organic Transitions Program. Finally, does organic food taste better than conventional? Most friends and coworkers I have asked tell me the main reason they choose organic products over conventional are for better taste. When I hear this statement sensory scientist “Organoleptic Guru” in me perks up. Without tasting each the organic food side along side the conventional, I don’t really know if organic tastes better. I would love to run some consumer based blind studies to test this theory. Did someone say grant money? “USDA Announces $3.8 Million for Research to Help Farmers and Ranchers Meet Growing Demand for Organic Products.” United States Department of Agriculture National Institute of Food and Agriculture. National Institute of Food and Agriculture. https://nifa.usda.gov/press-release/usda-announces-38-million-research-help-farmers-and-ranchers-meet-growing-demand. Accessed 28 Dec 2016. Rong-Da Liang, Austin. “Enthusiastically consuming organic food.” Internet Research 24.5 (2014): 587-607. “Health Benefits” Organic Trade Association http://ota.com/organic-101/health-benefits Accessed 30 Dec 2016. Barański, Marcin, et al. “Higher Antioxidant and Lower Cadmium Concentrations and Lower Incidence of Pesticide Residues in Organically Grown Crops: A Systematic Literature Review and Meta-Analyses.” British Journal of Nutrition 112.5 (2014): 794–811. Web. Aneta, Wojdyło, Oszmiański Jan, Milczarek Magdalena, and Wietrzyk Joanna. “Phenolic Profile, Antioxidant and Antiproliferative Activity of Black and Red Currants (Ribes Spp.) From Organic And Conventional Cultivation.” International Journal of Food Science & Technology 48.4 (2013): 715-726.